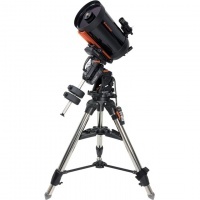 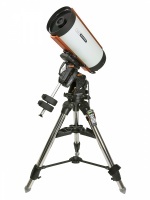 Capturing impressive deep-sky astroimages is easier than ever with Celestron’s new Rowe-Ackermann Schmidt Astrograph, the perfect companion to today’s top DSLR or astronomical CCD cameras. 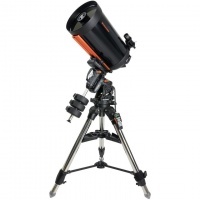 This fast, wide-field f/2.2 system offers two huge advantages over traditional f/10 astroimaging: better apparent tracking and shorter exposures. That means you’ll create better-looking astroimages in a fraction of the time, even without the use of an autoguider. 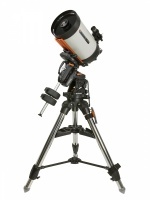 Key design goals included larger 144 mm diameter worm wheels which provide smoother operation and can more accurately drive heavier loads, longer 270 mm dovetail saddle to support larger optical tubes, remote operation friendly features such as home and limit optical sensors, easier polar alignment adjustments, and better cable management overall.